South by Southwest (SXSW) has rapidly become a social phenomenon. But many people don’t really understand what it’s all about, in part because of the lens through which they may view it. For example, some know it as a music festival. For others, it’s a film festival. And for still others it’s about emerging technologies and opportunities for entrepreneurship. But in reality, it’s all three; SXSW is three large events–each part festival and part conference–run under a single, large umbrella over a period of about 10 days each March in Austin, Texas. SXSW Music has included over 2,000 performers playing in about 100 venues, and attracts over 12,000 registrants. SXSW Film focuses on new directing talent. SXSW Interactive has established a reputation for technological innovation and in 2013 attracted over 30,000 registrants. 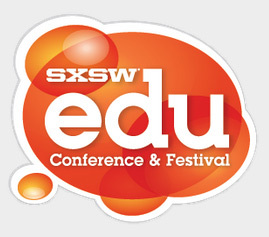 In 2011, SXSW launched two other conferences under the same umbrella: SXSW Eco focuses on environmental issues, while SXSWedu focuses on education innovation. For the last several years my editors and I have grappled with issues of textbook pricing, digital interfaces, and related questions that have emerged as we gradually shift away from traditional print textbooks toward something “different.” I must admit that I didn’t really expect to learn much at SXSWedu. I’ve attended a few other “teaching” conferences over the years and found them to be of some value, but nothing groundbreaking. It turns out, though, that I couldn’t have been more wrong. The experience really was amazing, and I walked away both energized as a teacher and already planning my return next year for the full SXSWedu experience. The wide variety of new education innovations and how people are already implementing those innovations truly opened my eyes to how I should approach teaching my own students. The conference sessions focused on all manner of topics, ranging from technology to MOOCS (massive open online course) to social media in the classroom. The presenters were engaging and interesting, and (had valuable information to share. For instance, I enjoyed hearing Corinne Hoisington (Central Virginia Community College) talk about how she uses mobile apps to promote student engagement. Nada Dabbagh (George Mason University) did a great job talking about the value of personal learning environments. The audience members, for their part, were engaged and interested in what was being discussed. All the more fascinating, at least to me, was the heterogeneity of attendees. I’m used to attending conferences where people are increasingly compartmentalized by discipline, by sub-discipline, by mission, and so forth. But at SXSWedu the attendees ranged from elementary school teachers to university researchers to college administrators. And since the focus was on the processes of educations and learning rather than subject matter content, a person’s academic discipline was irrelevant. I’ve also found myself wondering why we might not benefit from something like SXSWres (“res” for “research”—a festival or conference devoted to knowledge discovery processes that was similarly boundary-free). For example, when I think about whom I learn from today, the answer gravitates to the leading scholars in my field—people like Michael Porter, James Collins, and Jeffrey Pfeffer. But I could also learn from others outside my field. Universities often talk about interdisciplinary research but, at least in my experience, know little about how to encourage and reward it. If more of us could come together in settings that purposefully did not have discipline or mission-driven frameworks, who knows where that might lead? Ricky W. Griffin is Distinguished Professor of Management and holds the Blocker Chair in Business in Mays Business School at Texas A&M University. His research on task design and dysfunctional work behavior has appeared in journals including Academy of Management Journal, Academy of Management Review, and Administrative Science Quarterly. 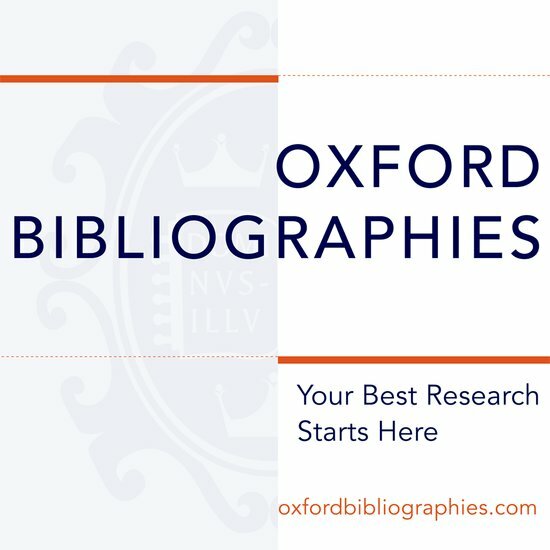 He currently serves as the Editor in Chief for Oxford Bibliographies in Management. He has also served as Editor of the Journal of of Management, Program Chair and Division Chair of the Organizational Behavior Division and Program Chair of the Research Methods Division of the Academy, Program Chair and President of the Southwest Academy of Management, and on the Board of the Southern Management Association. He is a Fellow of both the Academy of Management and the Southern Management Association.